One of the most persistent trends in recent years is the “less is more” minimalist movement. Whether you’re living in a small space due to urbanization and the increasing costs of living in a big city, or whether you simply enjoy embracing the simple life, here are some tips for making your small bedroom space welcoming and functional. Windows are the most key element in making a room feel bigger than it is. If you have an outdoor balcony or porch, installing a glass door or large picture window opening into the outdoor space can go a long way towards expanding the bedroom visually. If pre-existing windows in a space are small, consider hiring a professional to help expand them or install another kind of window that lets in more light. Choosing curtains that are simple and easily let the light in will go a long way to maximizing your window’s effectiveness. You can also consider installing mirrors opposite a window to reflect the light over the room and further give the impression that your space is bigger. The biggest use of floor space in a bedroom is inevitably going to be your bed. Although you can push it into a corner to open up more of the floor, making the bed multitask will go a long way towards your room becoming more functional. One way to do this is by having a loft-style bed built, allowing you to put storage or even a desk underneath your sleeping space. If you don’t like the idea of a climb to get into bed every night, you can install storage shelves and drawers beneath your bed to use space that is usually empty. 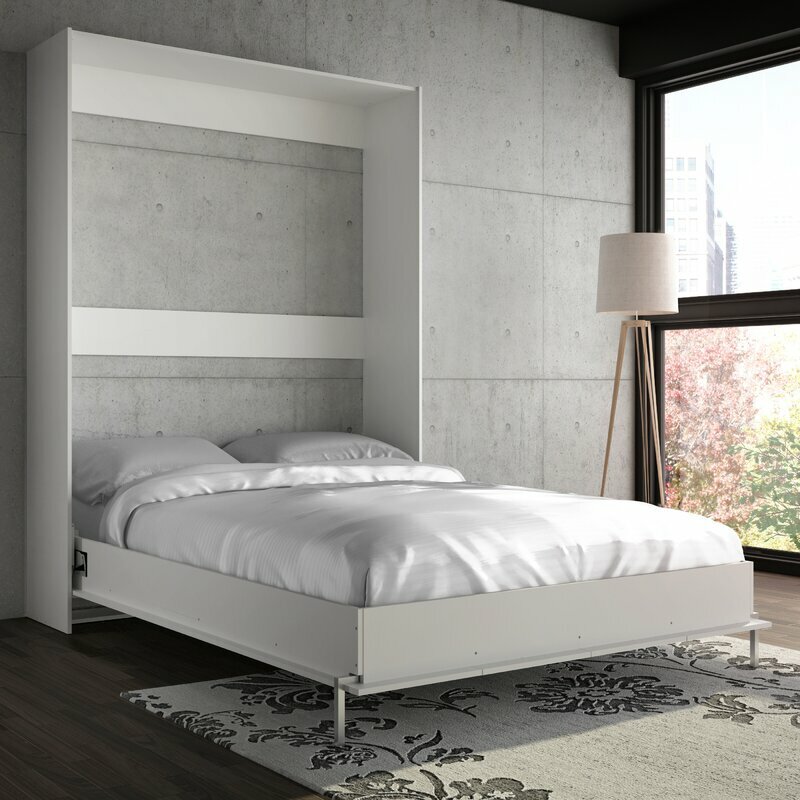 The ultimate minimalist bed space saver is the Murphy bed, which folds up into the wall during the day. These beds are a bigger investment and will require professional help to prepare a room for, but they are the best option for giving you maximum living space during the day! A key element of having a functional, minimalist space is making sure that every single item has a designated space to be stored. Efficient use of your closet is crucial, but if your space is small, chances are that the closet won’t quite be able to store everything you need. You can make your storage go a lot farther by expanding beyond your closet door. Corner shelves make efficient use of wall space that is unlikely to be used by anything else. Consider installing rods for any items that can be hung. You can even go a step farther by having a professional build a wall nook or alcove for storage and decor. 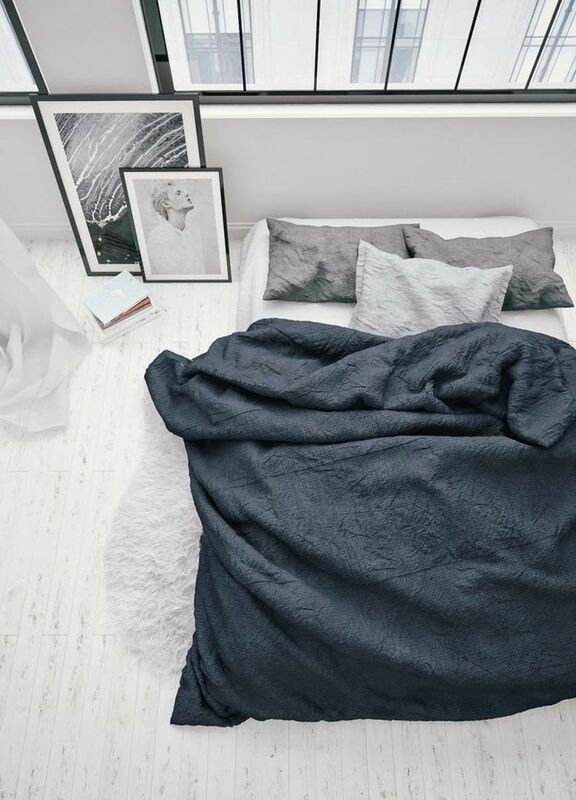 If you scroll through a Pinterest board of minimalist bedrooms, chances are that the whole thing will be overwhelmingly white or neutral grays. There’s a reason for that: white and other bright colors reflect more light, which makes a space feel cleaner and bigger. Choosing the right paint color as a base is important, but if you like colors and patterns, there’s room for that as well. Painting a segment of the walls in bold stripes can also trick the eye into thinking the room is bigger. Picking a bright shade for your bed linens is another good way to incorporate your favorite colors, and they’ll pop that much more against a clean white wall. Ready to make some of these space saving projects a reality? Find out how WillowTree can help you build or remodel!